UPDATED: Wed., Nov. 22, 2017, 4:41 p.m.
HOUSTON – Residents across the Houston area are starting to wrap up the monthslong effort of removing debris created by Hurricane Harvey. 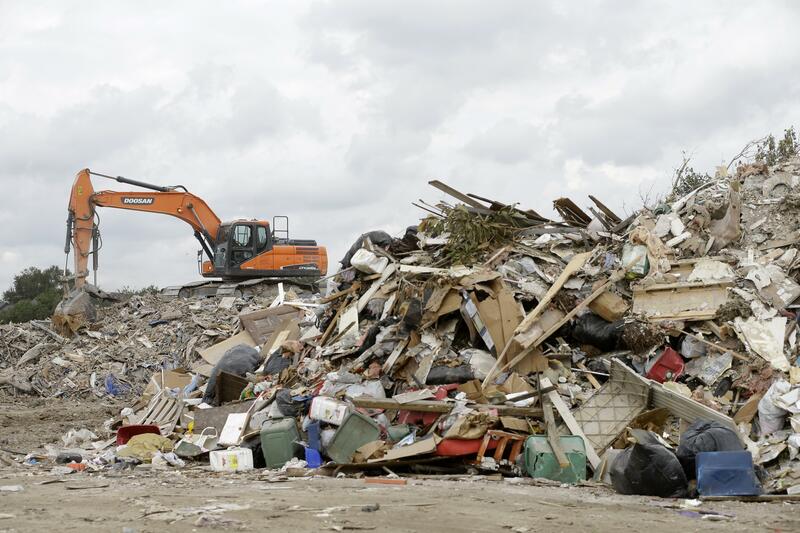 Local counties and cities have been working with contractors and the Texas Transportation Department to haul away piles of trash from in front of people’s homes in the three months since Harvey hit and unleashed record flooding, the Houston Chronicle reported. Harvey made landfall in Texas as a Category 4 hurricane on Aug. 25. Several jurisdictions plan to finish debris removal at least by Christmas. Harris County officials said they had hoped to finish by Thanksgiving, but the county came across more debris than expected on a third and final pass through neighborhoods. County crews had picked up more than a million cubic yards of trash, or about 26,000 truckloads, as of mid-November. Residents previously expressed frustration with the slow pace of debris removal, especially in Houston. The state agreed earlier this month to direct an extra $90 million in emergency funding to help speed up the process. Completing the cleanup would be progress for residents trying to move forward from Harvey, said Trey Haskins, assistant county engineer for Brazoria County. Published: Nov. 22, 2017, 4:41 p.m. Updated: Nov. 22, 2017, 4:41 p.m.